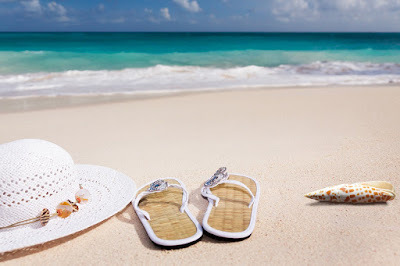 It's May and one of my favorite times of the year to go to the beach - in fact, I've already spent two weekends in the South Carolina low country. Today, I have reviews of 5 new books that are about the East coast beaches from the Jersey shore to Florida. Pick one of them up and let it help you think about a trip to the beach. 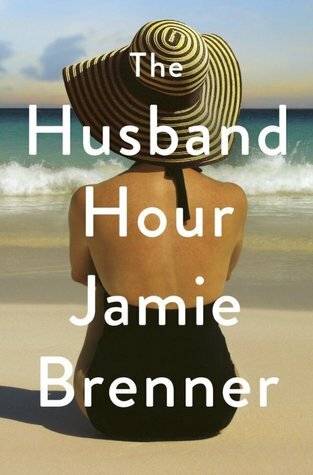 The cover of The Husband Hour would make the reader think that it is a light fun beach read. It is so much more than that - it's about sports, the military and family. 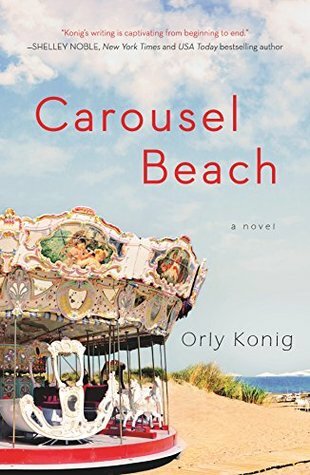 It does take place at the beach - the Jersey shore to be exact and it's a wonderfully well-written book. Lauren has been a widow for 5 years after her husband Rory dies in the middle east during combat. They met in high school - he was a star hockey player and she was a quiet student. When he was drafted by the NHL after college they got married. After several bad hits in the head, his personality began to change and he joined the Army. When Rory dies in combat, Lauren is left devastated, alone, and hounded by the media. She runs away to her parents' beach house at the Jersey shore and becomes a loner. When she finds out that there is a documentary being made about Rory's life, she is infuriated and tries to stop Matt from filming anyone in her family. The author did significant research on traumatic brain injuries suffered by athletes and I learned a lot about the issue. Overall, this is a wonderful story about learning to overcome grief and learn to live life again after a loved one dies. 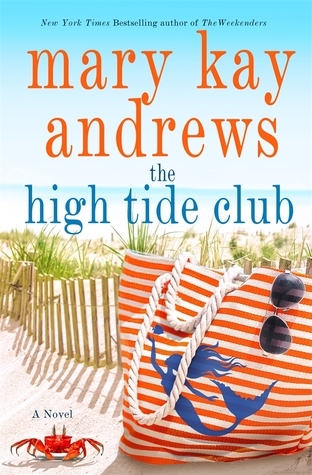 This is a different kind of book for Mary Kay Andrews - her books are usually laugh-out-loud funny and even though this one has some funny moments, it's much more serious and mysterious than her earlier books. That said, I loved this book and highly recommend it. The characters are so well written that we see them as real people - flaws and all. Plus the age of the characters range from the mid-30s to 99 so we get to view women's lives through a variety of ages. Josephine, Millie, Ruth, and Varina formed the high tide club in the 30s. Three of the women were spoiled rich girls and Varina was a black girl who lived on the island and was younger than the others. The story is told in present day with flashbacks to the 30s so that we get the total picture of Josephine and Varina, the only two surviving members of the group. As the story beings, Josephine summons a lawyer, Brooke, to her secluded island home on a barrier island off the Georgia coast, to help her save her island and to make amends to the women of the high tide club. What follows will have the reader turning pages to find out the story behind this group of women and their descendants. It's a book full of twists and turns and just when you think you have it all figured out, things change again and you realize you were wrong. Don't wait to take his book to the beach, read it as soon as you can. The first thing that I want to say is that I loved this book. Every time Orly comes out with a new book, it becomes my new favorite because she just keeps getting better. Trust me - this is a book that you don't want to miss. Maya is restoring an old carousel in her small beachside town. For the last year, she has been pulling away from everyone around her - her husband, friends, and family. She is grappling with the loss of her beloved grandmother and the loss of her unborn child. In both deaths, she blames herself and the only part of her life that brings her peace is her restoration work on the carousel that her grandmother loved so much. Her husband has been very supportive but feels like it's time to move on with their lives - either as a couple or separately. Her friends and family feel that it's time for her to end her grieving. As she spends time with the animal figures from the carousel, she finds a message from the original builder and when she meets him and tries to ask him questions about the carousel, she finds out that he may have answers that will help her change her life. The journey with Maya will pull at your heartstrings. She is a wonderful character - though I did want to shake her a few times - and I rooted for her to figure out her life and find happiness again. Add this one to your tbr list. You don't want to miss it! 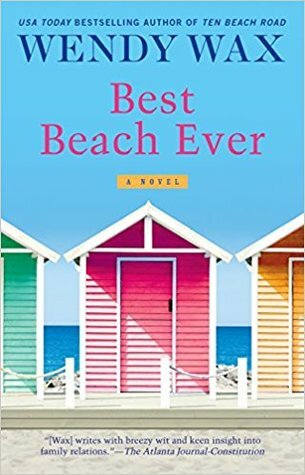 Summer must be getting close because the women of Ten Beach Road are back at the beach with an entertaining new novel. I have only read the first two novels in this series and was a bit confused at times so I suggest that you read the series in order. That said, now I have the fun of going back to the beginning and reading all the adventures of this eclectic group of friends. The group of friends in this book give us a bit of everything that bothers women - we have a mom trying to learn to live life with twin babies while she is worried about getting rid of her baby fat, a mom who has learned to love again while she is still worried about her daughter and grandson, a woman who has is afraid to love and another woman who has been cheated out of her money by a man she loved. The best part - it takes place at the beach and there is a happy ending for everyone! This is a perfect series of books to put in your suitcase or add to your Kindle for that beach vacation. It was a chilly grey Saturday in my part of NC but I spent the weekend at the beach and never left home! 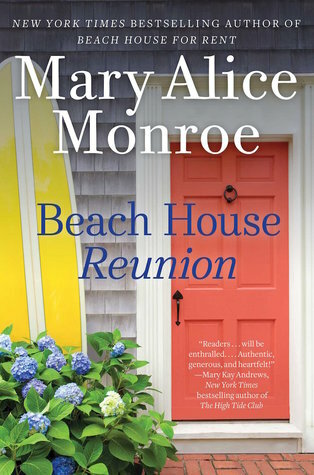 Reading a Mary Alice Monroe book is like taking a vacation at the beach - her love of the low county shines through in her books and her descriptions of the area make you feel like you're there. This is book 5 in the Beach House series. It can be read as a stand-alone but all of the books in the series are so good that you need to read them all! In this book, Cara Rutledge returns to Primrose Cottage on Isle of Palms. She left three years earlier after her husband died but felt like it was time to go home to raise the new baby that she's adopted. When she tries to work from home, she finds out that it's difficult so asks her niece Linnea to move to the cottage to take care of the baby while she's job hunting. They both lead a more relaxed lifestyle at the beach with lots of friends and a bit of romance for both of them. Through their time together and the beauty of the island, the Rutledge family is about to become even closer despite issues that have been passed down from previous generations. This is a beautiful story of love and family, new beginnings and learning to live for the future instead of living in the past. As with all of Mary Alice's books, her love of the environment shines through her novel. In this book, she focuses on loggerhead turtles and every chapter starts with a fact about sea turtles. There is also a lot of information about how pollution in the ocean hurts the turtles and other sea animals. So along with my mental trip to the beach, I was able to learn more about sea turtles! I highly recommend this book! thank you. They were all great books to read. Loved this book so much! Jamie Brenner does such a great job developing each character and giving them each their own unique story. Lots of great twists in this one. Love her books! This is the first book that I've read by Jamie Brenner but it sure won't be my last. You will probably enjoy the other books too, since you liked Jamie's books.